The name of the corporation shall be Licking Rural Electrification, Inc. (the “Cooperative”). 1. To engage in operations as a public utility rendering electric, gas, propane, telecommunications, cable television and allied businesses, water and sewer development products, resources, franchises and services (hereinafter “Products, Resources and Services”) to members and non-member patrons; to generate, manufacture, purchase, acquire and accumulate Products, Resources and Services for, and to transmit, distribute, furnish, sell and dispose of such Products, Resources and Services to, its members and non-member patrons, and to wheel electric power and energy and to construct, erect, purchase, lease as lessee, and in any manner acquire, own, hold, maintain, operate, sell, dispose of, lease as lessor, exchange and mortgage plants, buildings, works, machinery, supplies, apparatus, equipment, and transmission and distribution lines or systems necessary, convenient or useful for carrying out and accomplishing any or all of the foregoing purposes; and without limiting the generality of the foregoing, but in amplification thereof, to acquire in whole or in part, by purchase, lease, or otherwise, other systems for the generation, transmission and distribution of Products, Resources and Services, which purpose may be effected through the acquisition of stocks or other corporate securities evidencing the ownership of real and personal property constituting such other Products, Resources and Services, or portions thereof or through merger or consolidation. 2. To supply Products, Resources and Services to its members and non-member patrons without any discrimination or preferences as between members and non-member patrons and to enter into and perform franchises and other contracts with political subdivisions, bodies politic, governmental agencies or instrumentalities, industrial and commercial concerns, residential customers and others, which franchises or contracts provide for the supplying of Products, Resources and Services or otherwise rendering service to any such concerns, customers, subdivisions, bodies, agencies, instrumentalities, or the citizens thereof. 3. To acquire, purchase, lease as lessee, maintain, own, hold, exercise and, to the extent permitted by law, to mortgage, pledge, hypothecate, and in any manner sell, lease as lessor, exchange, or dispose of franchises, rights, privileges, licenses, rights of way, and easements, and any and all real and personal property which may be necessary, useful or convenient for carrying out and accomplishing any of the purposes of the Cooperative. The enumeration of the foregoing powers shall not be held to limit or restrict in any manner the general powers of the Cooperative, and the Cooperative shall be authorized to exercise and enjoy all of the powers, rights and privileges, granted to or conferred upon nonprofit corporations by the laws of the State of Ohio, now or hereafter in force. Each purpose enumerated above shall be deemed to be independent of all other purposes. (c) agreeing to comply with and be bound by these Articles of Incorporation and the Code of Regulations and any amendments thereto and such rules and regulations as may from time to time be adopted by the Board of Directors of the Cooperative. Notwithstanding the foregoing, no person, firm, corporation or body politic shall become a member unless and until such person, firm or corporation has been accepted for membership by the Board of Directors. Section 2. The Code of Regulations of the Cooperative shall define and fix other duties and responsibilities of the members and prescribe other terms and conditions upon which members shall be admitted to and retain membership in the Cooperative not inconsistent with these Articles of Incorporation or the Nonprofit Corporation Law of Ohio, Section 1702 of the Ohio Revised Code (the “Nonprofit Corporation Law”). Section 3. No member shall be individually liable or responsible for any debts of the Cooperative. Section 4. The Board of Directors shall have power to make such rules and regulations not inconsistent with these Articles of Incorporation, the Code of Regulations, or the Nonprofit Corporation Law as the Board of Directors may deem advisable for the management, administration and regulations of the business and affairs of the Cooperative. The Cooperative shall have authority to contract with any federal, state, governmental or other bona fide lenders in connection with the borrowing of money, the pledging of securities and real or personal property for the repayment thereof subject to the terms and conditions of any federal or state law now or hereafter enacted with reference thereto. The Board of Directors shall have full power and authority to authorize the Cooperative to borrow money necessary and proper for the accomplishment of the purposes of the Cooperative and the Board shall have power and authority to pledge the credit of the Cooperative for the repayment of monies so borrowed and may authorize the issuing of notes, certificates of indebtedness, and bonds and the execution of mortgages both real and personal under such terms and condition as the Board shall determine. Section 1. Interest or Dividends on Capital Prohibited.  The Cooperative shall at all times be operated on a cooperative non-profit basis for the mutual benefit of its members. No interest or dividends shall be paid or payable by the Cooperative on any capital furnished by its members. Section 2. Patronage Capital in Connection with Furnishing Services. In the furnishing of Products, Resources and Services, the Cooperative’s operations shall be so conducted that all patrons, members and nonmembers alike, will, through their patronage, furnish capital for the Cooperative. In order to induce patronage and to assure that the Cooperative will operate on a non-profit basis, the Cooperative is obligated to account, on a patronage basis, to all its members for all amounts received and receivable from the furnishings of Products, Resources and Services in excess of operating costs and expenses properly chargeable against the furnishing of Products, Resources and Services; and amounts required to affect any losses incurred during the current or any prior fiscal year. All such amounts are received with the understanding that they are furnished by the members as capital. The Cooperative is obligated to pay, by credits to a capital account for each member, all such amounts in excess of operating costs and expenses. The books and records of the Cooperative shall be set up and kept in such manner that at the end of each fiscal year the amount of capital, if any, so furnished by each member is clearly reflected and credited in an appropriate record to the capital account of each member, and the Cooperative shall, within a reasonable time after the close of the fiscal year, notify each member of the amount of capital so credited to such member’s account. All such amounts credited to the capital account of any member shall have the same status as though they had been paid to the member in cash in pursuance of legal obligations to do so and the member had then furnished the Cooperative corresponding amounts for capital. The Board may designate separate classes of capital and separate classes of capital accounts for members based on the particular type or types of Products, Resources or Services furnished to such members. Upon such designation, the Cooperative shall separately account for such classes of capital and treat such classes of capital separately for all purposes hereunder. A particular member may have more than one such class of capital account if such member receives more than one type of Product, Resource and Service from the Cooperative. Funds and amounts, other than from furnishing Products, Resources, and Services, received by the Cooperative that exceed the Cooperative’s costs and expenses, including certain “non-operating margins” may, at the discretion of the Board of Directors be allocated as capital credits to members in the same manner as the Cooperative allocates capital credits to members; or used by this Cooperative as permanent, non-allocated capital. Notwithstanding any provision of this ARTICLE SIXTH, the amount credited to the capital of members on account of their patronage shall be the greater of alternative minimum taxable income or regular taxable income resulting from their patronage as determined under Federal income tax law. In the event of dissolution or liquidation of the Cooperative, after all outstanding indebtedness of the Cooperative shall have been paid, outstanding capital credits shall be retired without priority on a pro rata basis before any payments are made on account of property rights of members; PROVIDED, that insofar as gains may at that time be realized from the sale of any appreciated assets, such gains shall be distributed to all persons who were members during the period the asset was owned by the Cooperative in proportion to the amount of business done by such members during that period insofar as practicable, as determined by the Board of Directors, before any payments are made on account of property rights of members. If, at any time, prior to dissolution or liquidation, the Board of Directors shall determine that the financial condition of the Cooperative will not be impaired thereby, the capital then credited to members’ accounts may be retired in full or in part. The Board of Directors shall determine the method, basis, priority, and order of retirement, if any, for all amounts heretofore and hereafter furnished as patronage capital. Discounted capital credit retirements shall be calculated based upon terms and conditions established by the Board of Directors. All amounts of capital allocated to members but retained by the Cooperative after retirements on a discounted basis shall be considered a contribution of capital to the Cooperative and part of the “Net Savings” of the Cooperative. “Net Savings” of the Cooperative will not be reallocated as excess margins to any former or current Cooperative members, except upon dissolution or liquidation, on terms and conditions established by the Board of Directors. (d) preclude a general retirement of the supply portion of capital credited to members for any fiscal year prior to the general retirement of other capital credited to members for the same year or any capital credited to patrons for any prior fiscal year. Notwithstanding any other provision of the Articles of Incorporation or the Code of Regulations, if any member or former member fails to claim any cash retirement of capital credits or other payment from the Cooperative within four years after payment of the same has been made available to the member by notice or check mailed to said member at the member’s last known address, furnished by the member to the Cooperative, such failure shall be and constitute an assignment and contribution by such member of such capital credit or other payment to the Cooperative. Failure to claim any such payment within the meaning of this section shall include the failure by such member or former member to cash any check mailed by the Cooperative to the last address furnished by the member to the Cooperative. The assignment and contribution provided for under this Section shall become effective only upon the expiration of four (4) years from the date when such payment was made available to such member or former member without claim therefor and only after the further expiration of sixty (60) days following the giving of a notice by mail and publication that unless such payment is claimed within said sixty (60) days period, such contribution to the Cooperative shall become effective. The notice by mail herein provided for shall be one mailed by the Cooperative to such member or former member at the last known address and the notice of publication shall be two (2) consecutive insertions in a newspaper circulated in the service area by the Cooperative, which may be the Cooperative newsletter. The sixty (60) day period following the giving of such notice shall be deemed to terminate sixty (60) days after the mailing of such notice or sixty (60) days following the last day of publication thereof whichever is later. Notwithstanding any other provision of the Articles of Incorporation or the Code of Regulations, the Board of Directors, at its discretion, shall have the power at any time upon the death of any member, if the legal representative of a member’s estate shall request in writing that the capital credited to any such member be retired prior to the time such capital would otherwise be retired, to retire capital credited to any such member immediately upon such terms and conditions as the Board of Directors, acting under policies of general application, and the legal representatives of such member’s estate shall agree; provided, however, that the financial condition of the Cooperative will not be impaired thereby. The patrons of the Cooperative, by dealing with the Cooperative, acknowledge that the terms and provisions of the Articles of Incorporation and Code of Regulations shall constitute and be a contract between the Cooperative and each patron, and both the Cooperative and the patrons are bound by such contract as fully as though each patron had individually signed a separate instrument containing such terms and provisions. The provisions of this ARTICLE SIXTH shall be called to the attention of each patron of the Cooperative by posting it at a conspicuous place in the Cooperative’s office. The Code of Regulations of the Cooperative shall be amended by the members only in accordance with the terms set forth therein. These Amended and Restated Articles of Incorporation take the place of and supersede the existing Articles of Incorporation as heretofore amended.